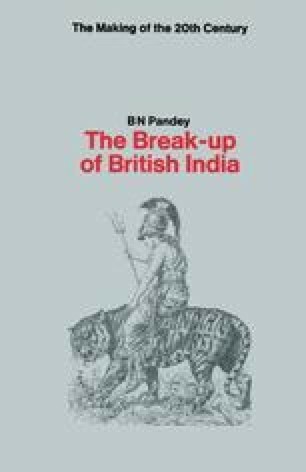 The British empire in India had reached its apogee at the turn of the nineteenth century. The Governor-General, Lord Curzon, who ruled India in the years 1899–1905 was, as he proudly avowed, ‘an Imperialist heart and soul’. His administration witnessed the culmination of the main characteristics, both good and bad, of the British imperial system. Curzon was the flesh and blood symbol of empire. A firm believer in the physical and moral superiority of the British race, animated by a sense of duty, endowed with an infinite capacity for detail, fair and impartial even at the risk of incurring unpopularity, and meticulously efficient — these qualities of Curzon had gone to build up the British empire. His lack of vision, his insensitivity, his belief in the racial inferiority of the Indians, his indifference towards their aspirations, and his spite for the educated middle-class Bengali Babus these created in India forces which ultimately led to the fall of the empire. As long as we rule India, we are the greatest power in the world. If we lose it, we shall drop straightaway to a third-rate power.